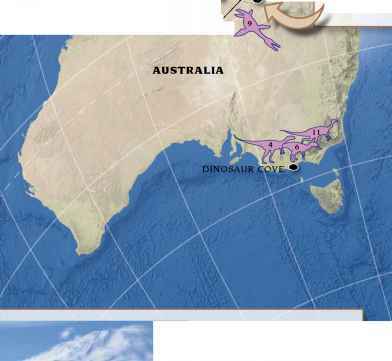 For much of dinosaur history, the continent of Australia lay closer to the South Pole than it does today. It was connected to Antarctica, and both landmasses experienced cold temperatures and low levels of light. 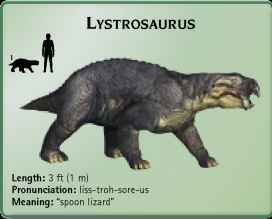 Despite these seemingly unsuitable conditions, dinosaurs, such as the big-eyed Leaellynasaura, lived in Earth's deep south, where they adapted to the long winter darkness. 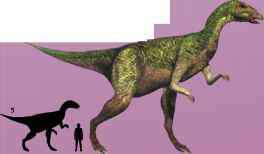 About 25 dinosaur locations are known from Australia, particularly in the northern state of Queensland and the southern state of Victoria. Four sites have been found on the coast and islands of Antarctica, though doubtless many more exist beneath the polar ice. Length: 9 ft (2.7 m) Pronunciation: at-las-kop-koh-sore-us Meaning: "Atlas Copco lizard"
Length: 33 ft (10 m) Pronunciation: mut-a-burr-a-sore-us Meaning: "Muttaburra lizard"
Australia's finest examples of dinosaurs such as the ankylosaur Minmi, have been found in this fossil location. In addition, more than 3,300 footprints have been discovered at Lark Quarry, near Winton. 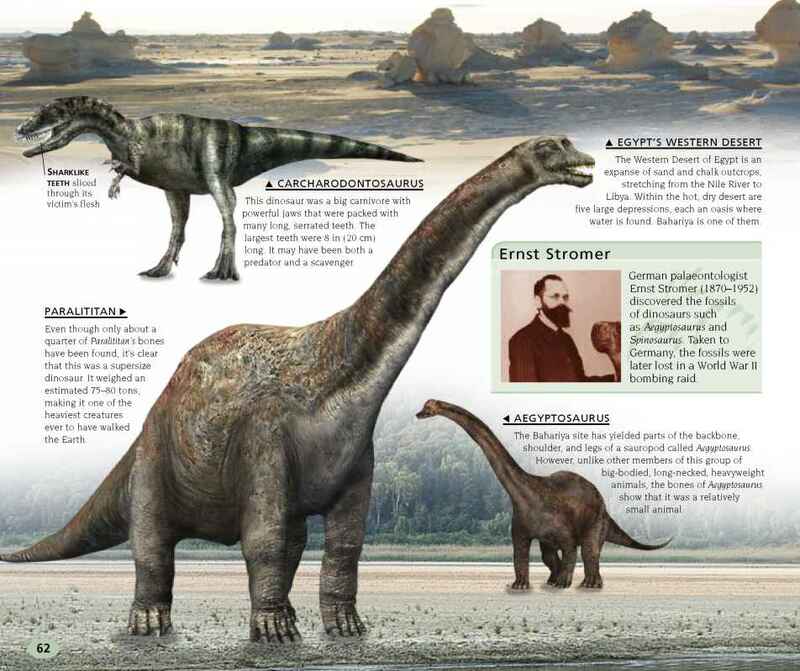 Antarctica was the very last continent to provide dinosaur evidence. 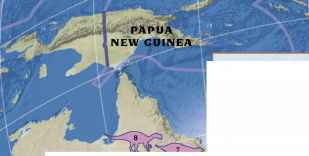 The first fragmentary specimens were collected in 1986, on James Ross Island. Since then, other sites have been found. How did the Minmi adapt to antarctica?